The railway station featured in John Ford's The Quiet Man is in disrepair. 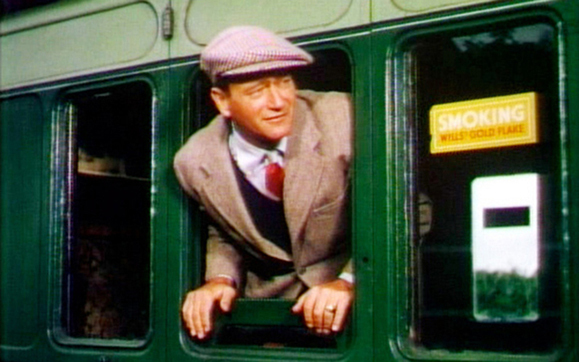 In John Ford’s 1952 The Quiet Man, the introduction of Irish American lead character Sean Thorton, portrayed by cinematic legend John Wayne, is integral to the plot that will soon unfold. The narration that accompanies his first moments on screen is simple: “A fine, soft day in spring it was when the train pulled into Castletown, three hours late, as usual, and himself got out.” Sean, it quickly emerges, is no American stereotype. Seeking out a peaceful new beginning, he boards an independent cart, mystifying the locals and taking to Ireland’s rural West like a fish to water. So begins the story of romance, ethical values, and cultural identity for which The Quiet Man has been praised for decades. Iconic though the scene may be, since June 1951, when the film’s cast (which also included Hollywood stars Maureen O’Hara and Barry Fitzgerald) arrived in Galway to begin filming, the site, in reality called the Ballyglunin Train Station, has fallen into a state of disrepair – the roof in particular runs the risk of collapse without urgent care. But this year the Ballyglunin Railway Restoration Project, a non-profit organization active since 2004, has established a campaign to preserve, develop, and celebrate this cultural landmark. “I fell in love with the station when myself and my wife, Grace, got married there last September,” Paschal Cassidy, one of the campaign’s organizers, told Irish America. Their wedding was the first to ever be held in the station. 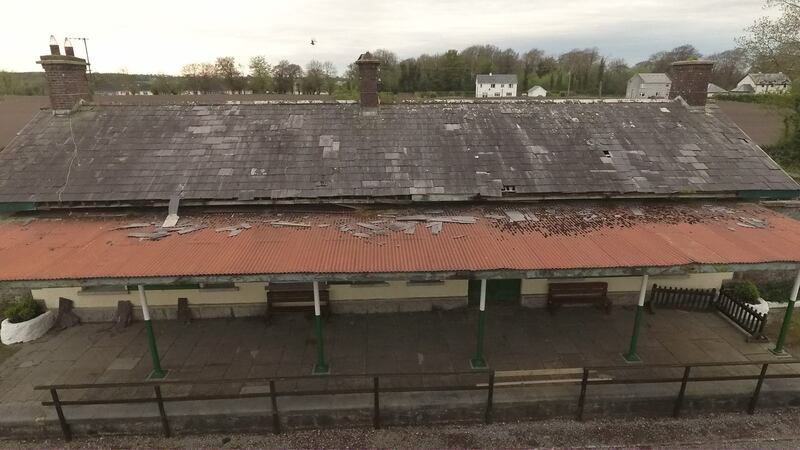 The roof of Ballyglunin station today. Also representing the campaign is Leo Moran, lead guitarist of Irish folk rock band The Saw Doctors, who appears in the campaign’s promotional video. The station has played host to multiple local events over the years to raise funds, such as the Castletown Festival, named for the fictional town in which The Quiet Man is set, which attracted over 1,000 people, and a visit from Santa Claus for the local children in winter 2016. Thus far in the project, the group has re-roofed the station’s good store and restored the signal cabin, as well as secured funding from the Galway County Council to install bathroom facilities and screening equipment to aid to development of the spot as a heritage center. The site, owned by Ireland’s national public transportation provider CIÉ, has been under the care of a local committee for the past ten years. It is estimated that the roof’s restoration will cost €35,000 (about $40,000), a portion of the €300,000 (about $340,000) it will take to return the entire building to its former glory. The station first opened in 1860 and closed to passenger traffic in 1976. The line has been inactive since the early 1990s, when it was closed to freight, which had primarily been beet shipments dispatched to the sugar factory in Tuam, Co. Galway. 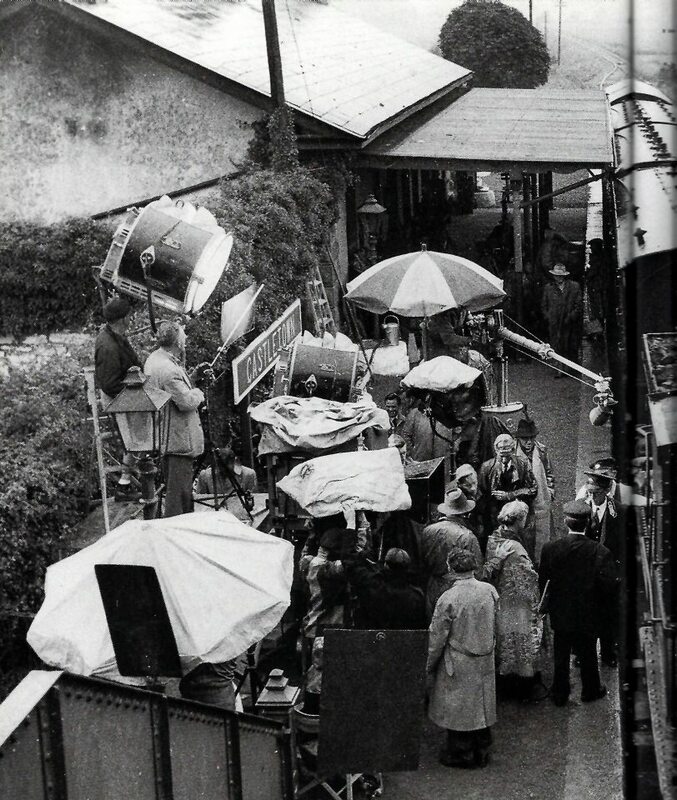 Filming The Quiet Man at Ballyglunin railway station, c. June 1951. If successful, the preservation efforts will have the Ballyglunin Train Station join the iconic thatched cottage, “White O’ Morn,” as a standing testament to the lasting impact of The Quiet Man on the landscape of Irish cinema. In 2015, the 19th century cottage, which is located in Connemara, was placed under state protection. The drive for its restoration in the name of Maureen O’Hara, who died later that year, has received support from A-list Irish celebrities such as Michael Flatley and Liam Neeson.